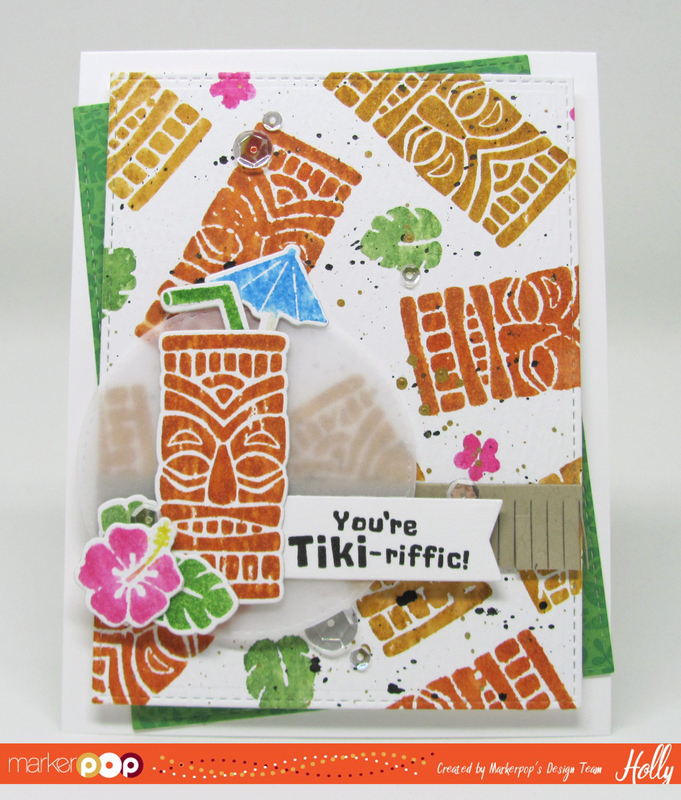 Hollybeary Creations : Tiki TIme!! Happy Thursday everyone.. I'm over on the MarkerPop blog today with a fun card using the new Tiki Time set from Newton's Nook and some Distress Inks! Head over for a link to the products I used. Check out the video below to see how I created this card.. Thanks for stopping by today!